Who will be crowned Miss World 2018? Miss World 2018, the 68th edition of the Miss World beauty pageant, will held its grand coronation night at Sanya City Arena in China on Saturday, December 8, 2018. 118 lovely candidates from around the world will vie for the coveted title of Miss World 2018. Miss World 2017 Manushi Chhillar of India will crown her successor at the end of the event. Where to watch Miss World 2018? 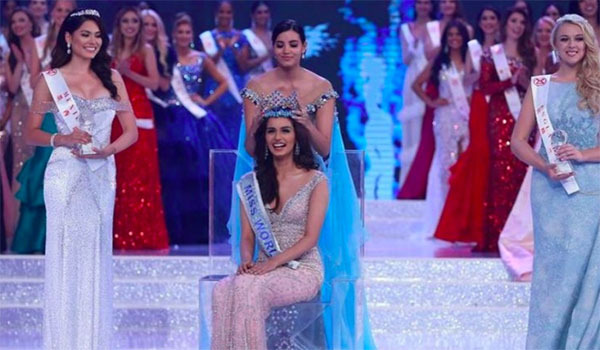 Miss World 2018 will be broadcast live on CCTV, E! and London Live channels at 7:30 pm local time in China. The event is also available to watch online via the Miss World official website and live streaming channel on YouTube. Pageant presenters are Frankie Cena, Barney Walsh, Stephanie Del Valle and Jay Kamiraz. Keep locked on the page, live results and video during the grand coronation night will be posted below. Bangladesh, Chile, France, India, Indonesia, Japan, Malaysia, Mauritius, Mexico, Nepal, New Zealand, Singapore, Thailand, Uganda, United States, Venezuela, Vietnam, China, Cook Islands, Belarus, Belgium, Northern Ireland, Russia, Scotland, Nigeria, South Africa, Panama, Barbados, Jamaica, Chile. Who do you think will be crowned as Miss World 2018? Share your predictions on the comment section below.